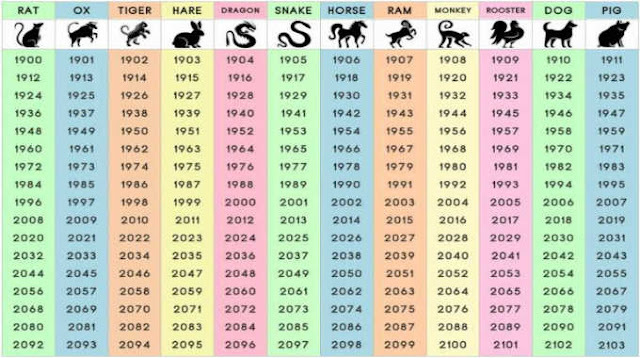 There are 12 different animal signs in the Chinese Zodiac, based on the year you were born you can find out some really interesting information about your personality traits. People born in the Year of the Rat are known for being generous and passionate, not just in love but in business too. They can take on too many commitments but usually find the opportunities that other people may miss. Although they’re great in social situations and can be very charming, they’re also known to be quick-tempered and critical. Interestingly they have vivid imaginations and a very strong grasp of information & ideas. Those who were born in the Year of the Ox are more than likely to be faithful to friends, family & partners. They may be considered boring at times but they have a strong sense of responsibility and duty to ensure they do the right thing. They’re well respected for their capabilities but they can also be incredibly demanding and occasionally chauvinistic. Overall, they really do represent the phrase ‘strong as an ox’ and can manage almost any circumstance life may throw at them. Tiger people are especially well known for being strong leaders, they’re courageous when facing challenges, bounce back from negative situations and are dignified. Those born in the Year of the Tiger are also in-tune with their emotions and can be sensitive, this makes them great partners. They may be fiercely competitive but they also strive for love and need to balance this. Tigers are restless and can react negatively to criticism at times. Those born in the Year of the Rabbit are generally very well liked among their peers. Rabbits avoid conflicts and quarrels that don’t involve them and would much rather be distracted by fun and enjoyable activities. Although they can be lots of fun, they’re also sentimental, affectionate and intellectual. Others may occasionally see them as shallow but they’re loving and tend to seek reassurance in their relationships. Dragon people are talented and very intelligent but can be demanding of other people due to their perfectionism. 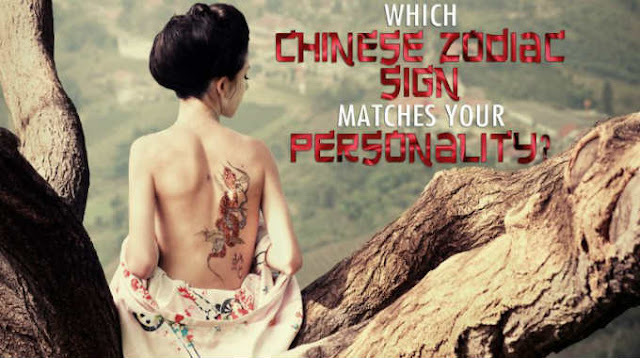 Those born in the Year of the Dragon are successful, charismatic and full of energy. They don’t really see that rules are for them too which can anger others. They may not be seen as the most committed people but if they find a kindred spirit to enjoy life’s adventures with, they won’t let them go. Being born in the Year of the Snake isn’t always viewed a positive as they can be jealous, secretive and prefer solitude however they are interesting people. They’re deep thinkers with strong wisdom as well as being romantic and charming when they want to be. They’re determined to reach their goals but don’t be surprised if you don’t notice them doing it, they’re not one to brag. Horse people may be popular but they’re fiercely independent and don’t necessarily work well with others. Those born in the Year of the Horse have great verbal skills and strong intellect but they have a strong temper and fall to their impulses when in love. They’re incredibly hard working, the expression ‘works like a horse’ is true, but they only work hard if they think the task is worth their time. You may be confused by people born in the Year of the Ram, they’re either super confident or very shy and timid. Although confusing, they’re seen as likable and charming as well as sympathetic and kind. They’re most likely to complain about physical ailments and have a ‘glass half empty’ attitude. Rams are one of the more creative signs and love art and nature. Key personality traits of those born in the Year of the Monkey include intelligence, energy, eccentricity and being quick-witted. Often seen as funny and chatty, they know how to draw the crowds around them. If you’re having a bad day, a Monkey knows how to turn our situation into a humorous one. They can appear to be untrustworthy because of their blunt humour and penchant for practical jokes. They’re often restless and need to burn off large amounts of energy, this can make it hard when working. They thrive on change and will be more likely to succeed in a dynamic environment. Those born in the Year of the Rooster are known for being incredibly loyal, especially to friends and in relationships but they’re also a big fan of the spotlight which can be frustrating for those around them. They love to express their opinions and do so without any thought for others. Their style is especially attention grabbing which makes them very happy. They’re very industries and diligent when it comes to working and they have big success in their careers. Dogs are seen as being incredibly loyal and that trait is reflected in those born in the Year of the Dog. They value honesty, especially in their relationships and stick to their principles. They’re very trustworthy and find it hard to forgive those closest to them if they’ve been wronged. Dog people are creative problem solvers and know how to give their all in their chosen career. Although mostly positive, they can be sharp tongued and disliked for their need to criticize. Those born in the Year of the Pig have a great weakness for expecting their good traits to be reflected in others. Pig people are known for being kind, tolerant, sincere with a strong sense of social harmony. They may focus on material possessions but they also value their home life and families. They’re intellectually intelligent and often achieve challenging goals that may seem to be out of reach.